filewin32_getfilesize(\\.\G:) GetFileSize err Incorrect function. filewin32_setfilepointer(\\.\G:) SetFilePointer err Incorrect function. file_pread(5,8,buffer,3917824(243/222/44)) ReadFile The drive cannot find the sector requested. file_pread(5,1,buffer,3917824(243/222/44)) ReadFile The drive cannot find the sector requested. 1698 -rwxr-xr-x 0 0 327680 12-Jan-1980 23:01 ! 270 -r-xr-xr-x 0 0 98304 13-Aug-1980 00:08 ��. 526 -rwxr-xr-x 0 0 851968 20-Aug-2014 16:00 ��. 3191 -rwxr-xr-x 0 0 327680 20-Aug-2014 16:00 . 782 -r-xr-xr-x 0 0 98304 13-Aug-1981 00:24 . 798 -r-xr-xr-x 0 0 262144 29-Aug-1981 00:24 ��. X 65535 -rwxr-xr-x 0 0 4294967295 20-Aug-2014 16:00 _. 4101 -rwxr-xr-x 0 0 32768 20-Aug-2014 16:00 . 1566 -rwxr-xr-x 0 0 163840 20-Aug-2014 16:00 . Only FAT32, exFAT or NTFS filesystem is used on big harddisk, not FAT16. If it doesn't work, try with NTFS and next with exFAT. I changed partition to FAT32, Boot, RebuildBS, I was able to see my files, but still with gibberish names. I chose Write, confirm, Quit. 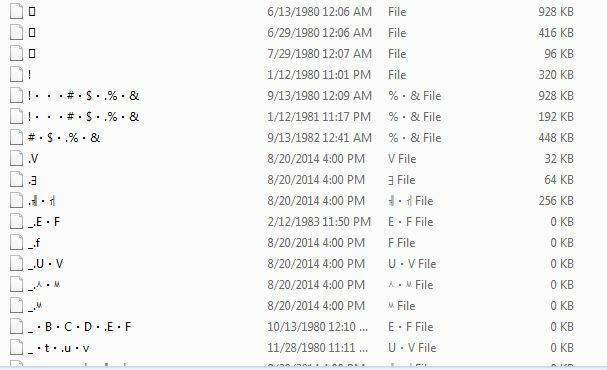 The files still have gibberish names and cannot be opened. Warning: valid FAT bootsector but not a FAT32 one! 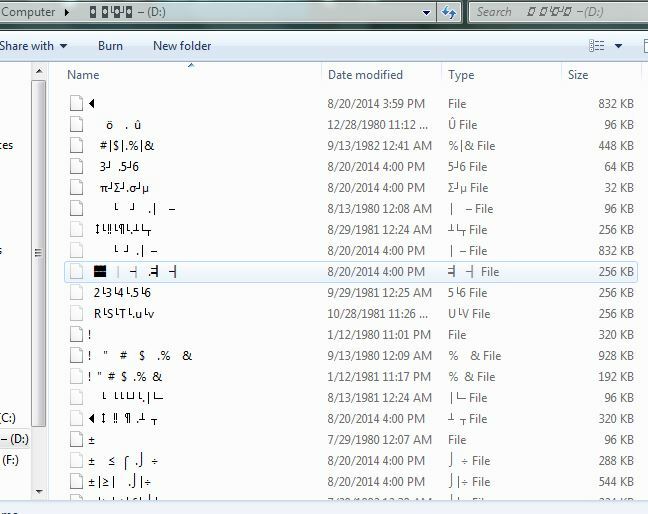 I can see the files (again with gibberish names), but I have no option to Write this time. I went to try NTFS and exFAT, but I didn't see them in the list of partition options. 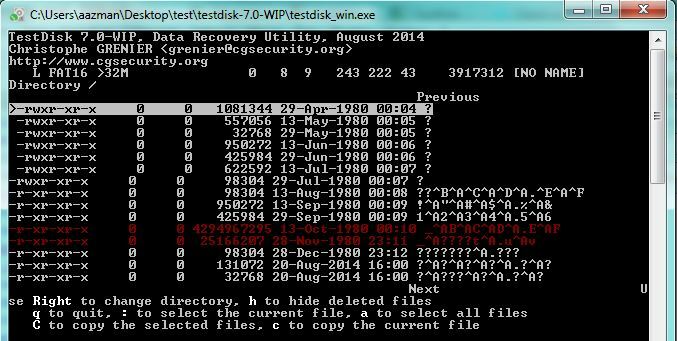 Should I choose HPFS-NTFS (option 07)? What should I choose for exFAT?